A few days back was Veterans Day. 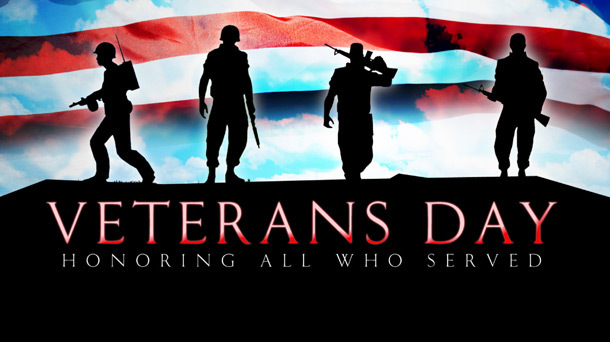 In thinking about American veterans, I'm left wanting to say two things- "thank you," and "please." Thank you for all the pain and the sacrifice, all the things you've endured, for giving your then for our now. Thank you for the sleepless nights and the heartbreak and the haunting memories. And please. If I may ask it, please make one more sacrifice for us. Please endure the pain of reliving those memories so that those memories may not be forgotten. Please tell us your stories. Please etch the lessons forged into your soul by the hell-fires of war into the minds of your children and your grandchildren. Please make this one last sacrifice. Because we want to hear. We need to hear. In saying "thank you," I don't mean a cursory tip-of-the-hat that makes me feel like a better American. I don't mean some jingoistic "everything America does is perfect" blind endorsement. I mean that I am grateful for your commitment and your sacrifice, and I mean that I don't want you to pass away in obscurity, ignored by the nation for which you died, and I mean that I don't want your memories and your messages to follow you to the grave, and I mean that the regrets that you have are regrets that we can learn from, and the mistakes you made are mistakes we can avoid, and the sins of the past can be forgiven in Christ, but the lessons of the past do no good if they are not taught to the people of the present, and the passions and hopes and dreams that led you into the face of death are passions and hopes and dreams that should quicken our pulse, and the cheers of victory you shouted are cheers that can and should echo in the hearts of those, like me, who have lived in a time where there's always war and never victory, and the heroism you showed is an example that strikes fire in the heart and sends sparks into the eyes of every boy who hears of it. And we need more boys with fire in their eyes. Thank you. We needed you. We still need you. We need our history. We need our legacy. A generation of Americans is growing up today isolated from everything that made America what she is. We have no history, and so we have no future. The Israelites wrote down their tales of valor; David's mighty men had their deeds inscribed into the heritage of their people. For too long I haven't taken things like Veterans Day seriously. I say this to my shame. When I see others pouring themselves into the lives of the dying generations, and when I see the joy it brings to those precious and disappearing forefathers of mine, I am convicted. I am inspired. I pray for God's Grace, that I may be the kind of person who says "thank you." And who then sits down to listen.